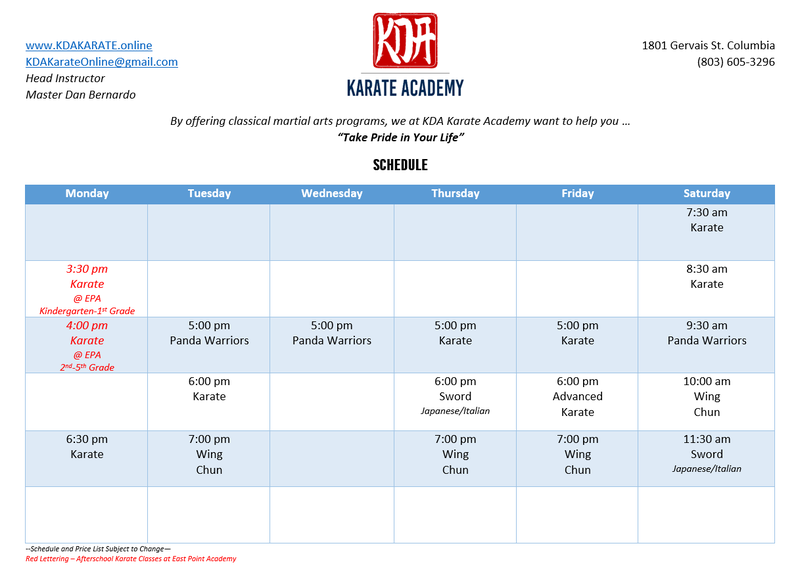 By offering classical martial arts programs, we at KDA Karate Academy want to help you “Take Pride in Your Life”. At KDA Karate Academy, each person who comes through that door wants to "Make Someone Proud" or "Make Themselves Proud". It is our goal to offer a martial arts culture that develops each student into a CONFIDENT and SKILLED individual. This creates a personal "seal of approval" that allows the student to become an individual that serves the community, helps others, and above all... betters themselves. Dangsoodo "唐手道" is the Korean expression of old school Okinawan Karate. It translates literally to "The Way of the Chinese Hand". Our head instructor is the Vice President of the Korea Dangsoodo Association, an international organization with schools all over the world. Wing Chun "詠春" is a concept-based Chinese martial art and form of self-defense utilising both striking and grappling while specialising in close-range combat. Most will recognize this art as the only art Bruce Lee formally studied. Iaido "居合道" is a Japanese sword art centering on the applications of drawing and cutting with the sword. We practice "koryu" or old school Iai rather than a modern style. Women's Only Martial Arts is a class focused on developing strong women by teaching real martial arts without any cultural pressures based on gender. Our instructor has a decade of martial arts experience in Wing Chun, JKD, BJJ, Kali and more. Stay Up to Date with Events, News, Photos, and More!